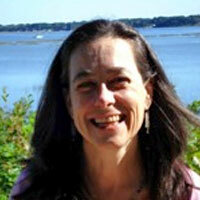 Rebecca Compton is a certified Maitri Breathwork Facilitator, certified by the Center for Sacred Studies (California). She is also a graduate of the CSS Stargate Mystery School. Recently retired from 28 years as a school Media Specialist/Librarian (a career she absolutely loved! ), Rebecca is now exploring different pathways, teachings and opportunities to learn and grow. She lives every day in a “glass half-full” way – because, really, this Life and this World are so glorious and steeped in exceptional, extraordinary experiences.